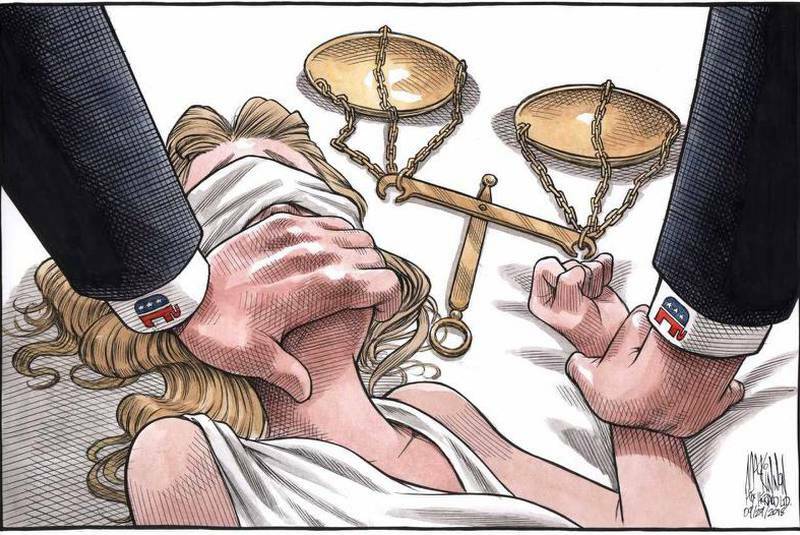 The image shows Justice blindfolded and pinned down as a man’s hand covers her mouth, which is how Ford described an alleged sexual assault by Kavanaugh dating back to 1982. The cuffs on the man’s shirt bear the Republican elephant. “It really took off and spread, and the response was overwhelmingly positive, especially from the #metoo community, but I think as the Republicans or the far-right felt the sting of the cartoon, the more backlash there was.